Louisa May Alcott's classic tale follows the lives of the four March sisters. Beautiful Meg, tomboyish Jo, fragile Beth, and romantic Amy may not have a lot of money while their father is off fighting in the Civil War, but the have each other and their friends. 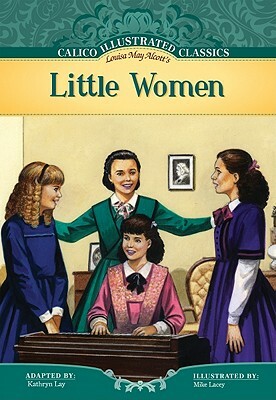 Follow the powerful story of love and friendship in the Calico Illustrated Classics adaptation of Alcott's Little Women.